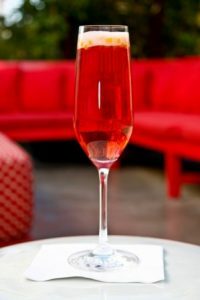 Here are a few more sips to get you into the yuletide spirit. And did I say to expect only two days of holiday cocktails? Well, I lied. 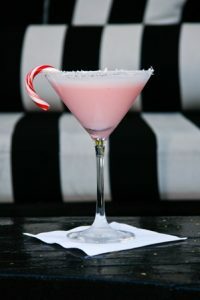 Check back on Monday for more yummy, Christmas-y cocktails. Shake over ice and strain into glass. Garnish with a sprinkle of paprika. Muddle and shake over ice. Pour into glass. Garnish with an orange wheel. 1/2 oz top with club soda approx. Build all ingredients in a mixing glass except club soda. Add ice and shake vigorously. Shake and strain over Ice. Top with club soda. Garnish with a lemon twist. 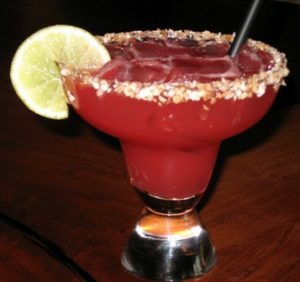 Rim a margarita glass with agave nectar then toasted coconut. In a mixing glass add all ingredients, shake with ice. Strain over ice in rimmed margarita glass. Pour ingredients into a tall bar glass. 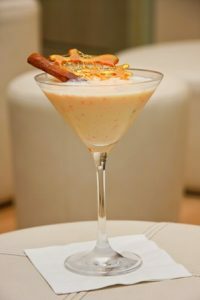 Shake with ice, pour into martini glass, garnish with cinnamon stick and serve. Pour ingredients into a tall bar glass. 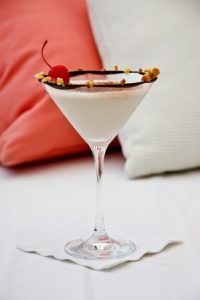 Shake with ice, pour into martini glass, top with champagne, garnish with 3 cranberries and serve.